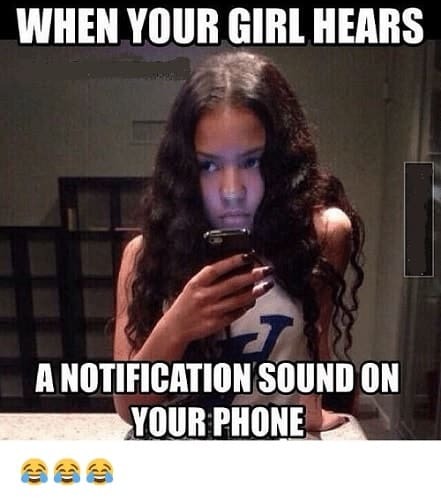 Recent years have seen a dramatic rise in funny memes about girls! Everyone’s realizing the importance of not taking yourself too seriously, so we’re seeing a flourishing of comedic memes that capture the essence of being a girl in the 21st century. 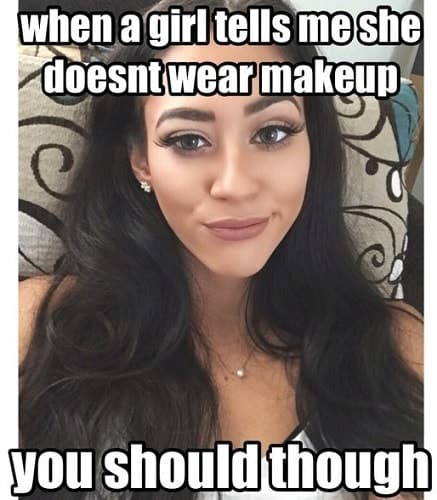 Funny Memes about Girls, for The Girls! Having a tough day? 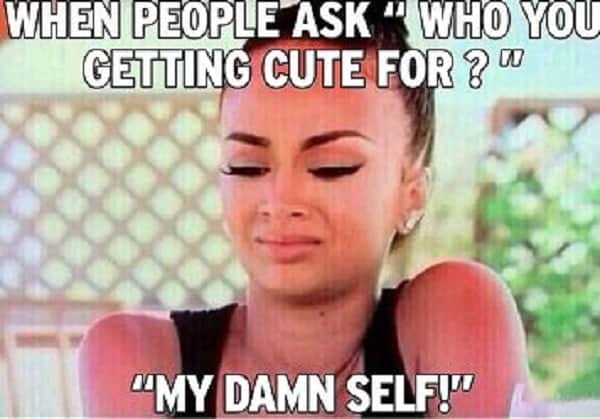 We’re confident that these funny memes about girls can certainly turn your day around! Whether they feature famous actresses, singers or other celebrities, or even TV/movie characters, they capture the hilarious reality of life as a girl. 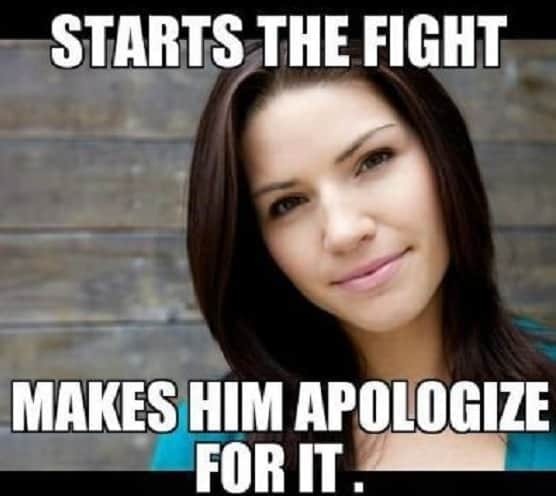 Even the memes using the stock standard images of women are paired with amusing captions that will bring out the laughs from even the most stoic individuals! Maybe these memes will remind you of a particular girl in your life, whether it was back in high school, or during your college years, or even in the workplace! The female stereotype, particularly when exaggerated, can be hilariously funny. From personal preferences to habits, ways they talk to the ways they act, the generalized girl is enough to get anyone cracking up. 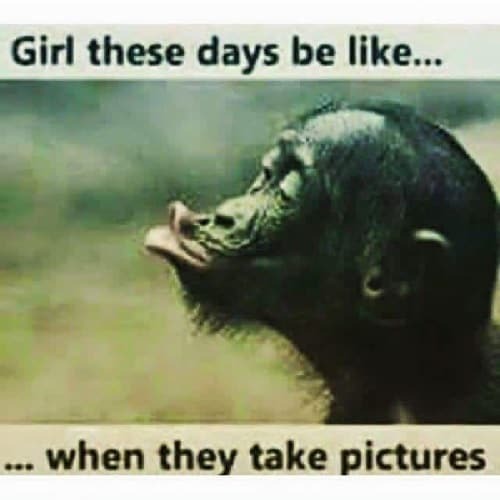 Check out our selection of funny memes about girls below, and see for yourself which you can relate to or which ones you recognize in a family member or friend! You can also read you go girl memes to encourage the girls in your surroundings. 1. I Told A Girl to Text Me When She Got Home. 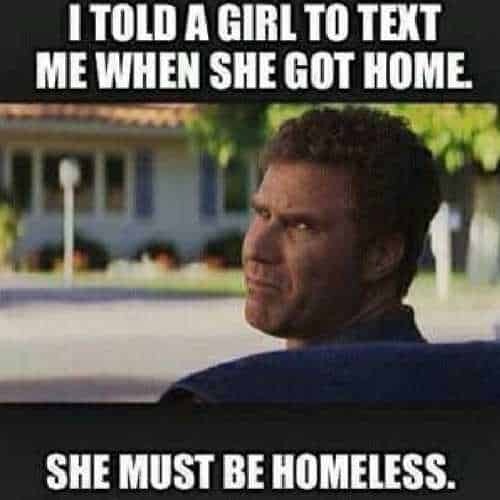 She Must Be Homeless. 2. Is Google A Boy Or Girl? 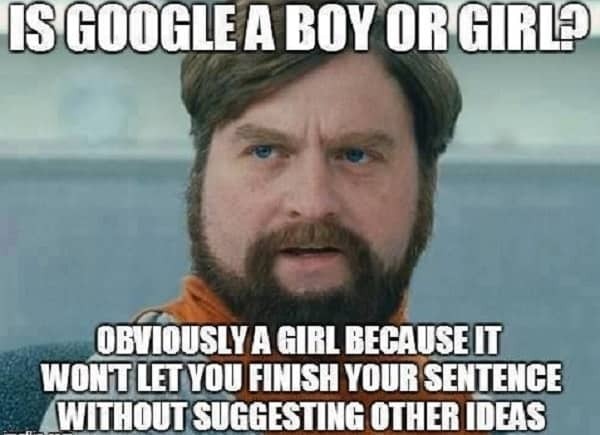 Obviously, A Girl Because It Won’t Let You Finish Your Sentence without Suggesting Other Ideas. 3. 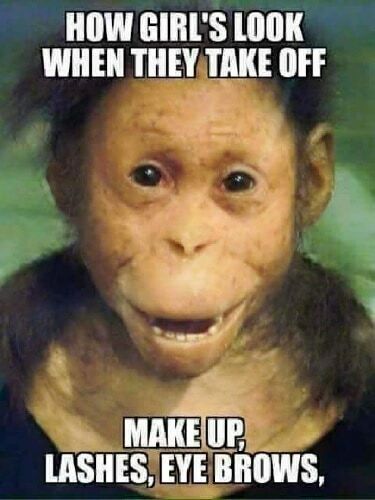 How Girl’s Look When They Take Off Makeup, Lashes, Eyebrows. 4. Chicks Be Like Off Guard But Still Cute. 5. When A Girl Replies with “Awww Thanks”. It Means She’s Politely Asking You to Return to The Friend Zone That You Just Tried to Escape from. 6. 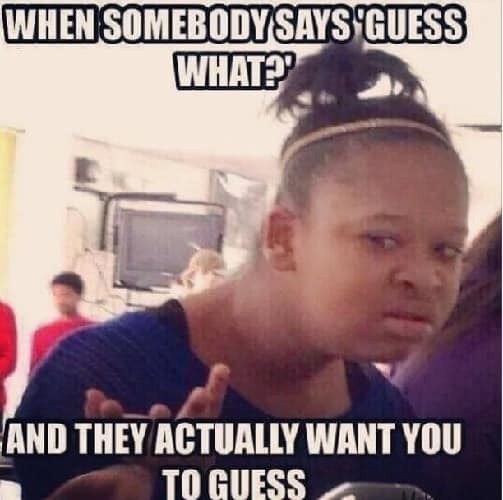 When Somebody Says ‘Guess What?’ And They Actually Want You to Guess. 7. Wait A Minute. I Need to Post This. 8. 10-Year Old Girls Are Crying Because They Broke Up With Their Boyfriend. 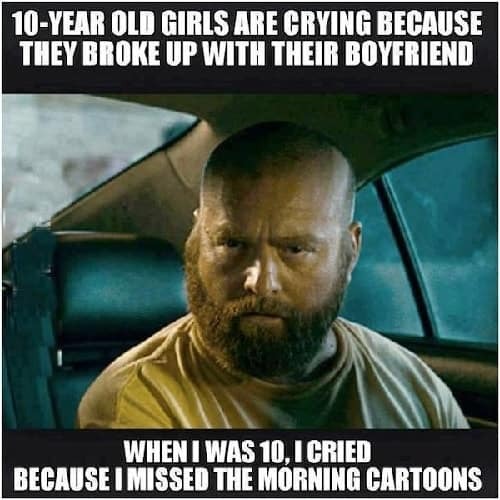 When I Was 10, I Cried Because I Missed The Morning Cartoons. 10. 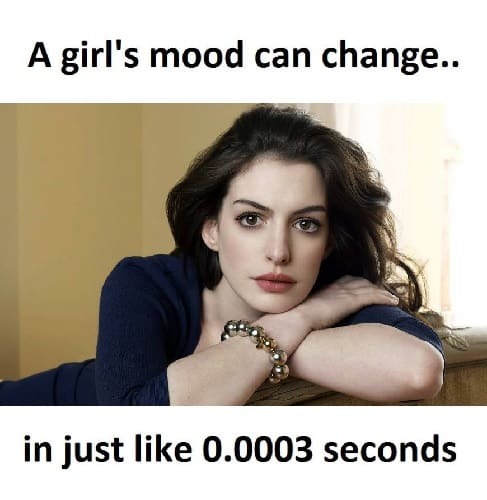 A Girl’s Mood Can Change… In Just Like 0.0003 Seconds. 12. 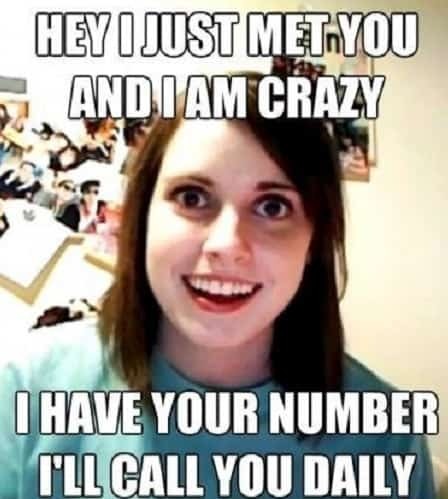 Hey I Just Met You And I Am Crazy. I Have Your Number I’ll Call You Daily. 13. 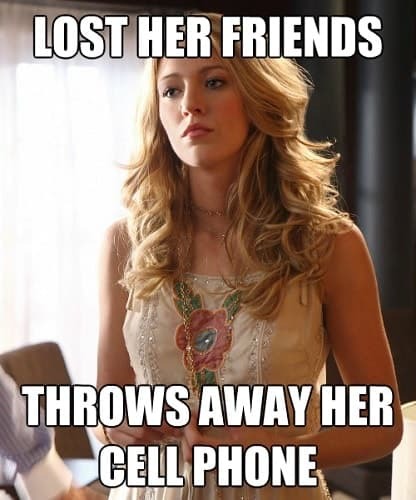 Lost Her Freinds Throws Away Her Cell Phone. 14. 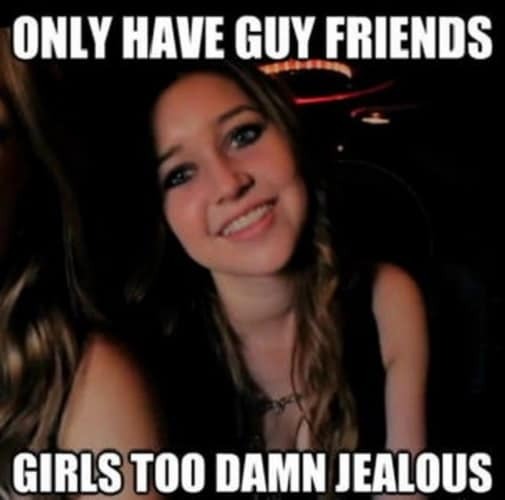 Only Have Guy Friends Girls Too Damn Jealous. 15. 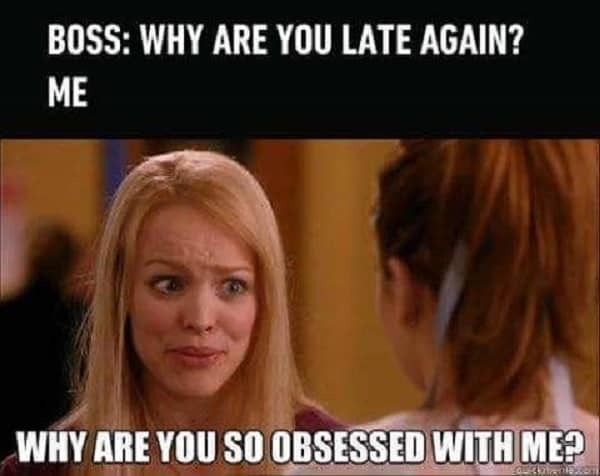 Boss: Why Are You Late Again? Me: Why Are You So Obsessed with Me? 16. 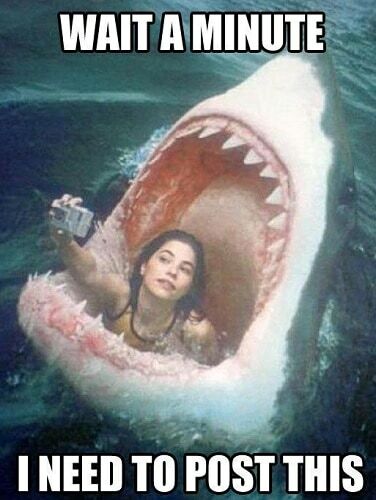 Girl These Days Be Like… When They Take Pictures. 17. 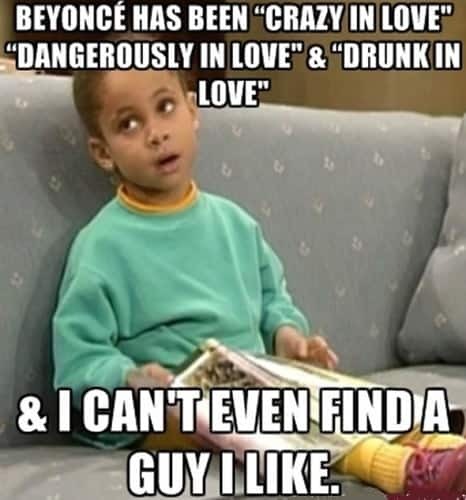 Beyonce Has Been “Crazy In Love” “Dangerously in Love” & “Drunk in Love” & I Can’t Even Find A Guy I Like. 18. Starts The Fight. Makes Him Apologize for It. 19. 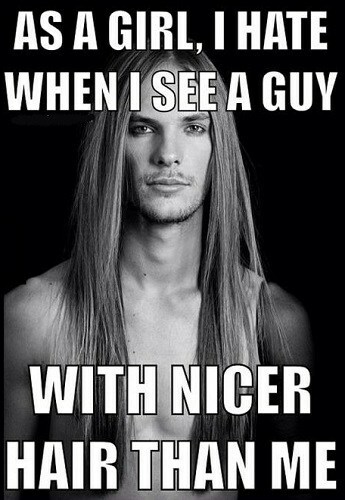 As A Girl, I Hate When I See A Guy With Nicer Hair Than Me. 20. 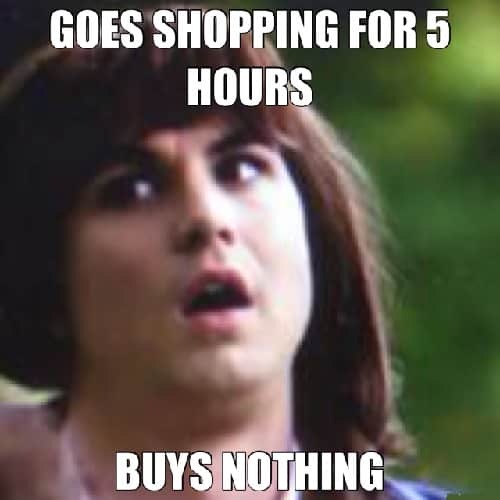 Goes Shopping for 5 Hours, Buys Nothing. 21. 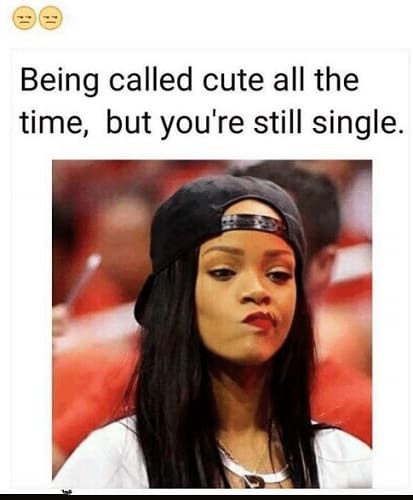 Being Called Cute All The Time, But You’re Still Single. 23. 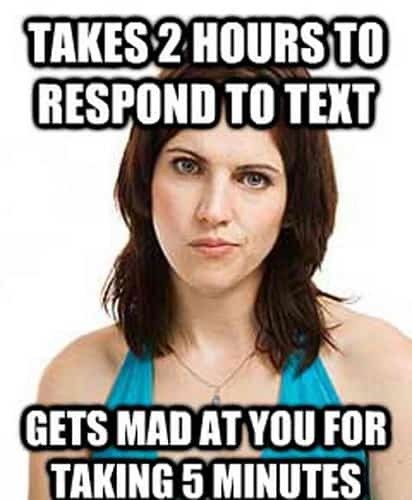 Takes 2 Hours to Respond to Text. Gets Mad at You for Taking 5 Minutes. 24. 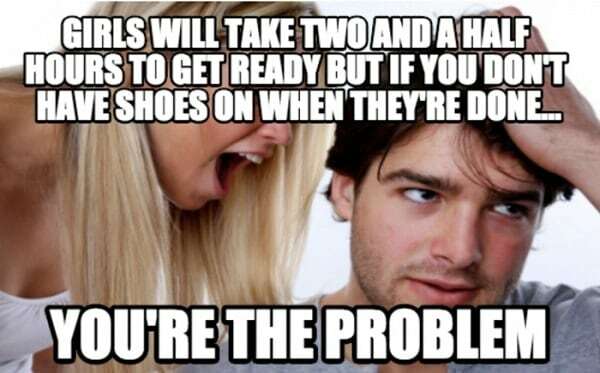 Girls Will Take Two And Half Hours to Get Ready But If You Don’t Have Shoes on When They’re Done… You’re The Problem. 25. When Your Girl Hears A Notification Sound on Your Phone. 26. When A Girl Tells Me She Doesn’t Wear Makeup You Should Though. 27. 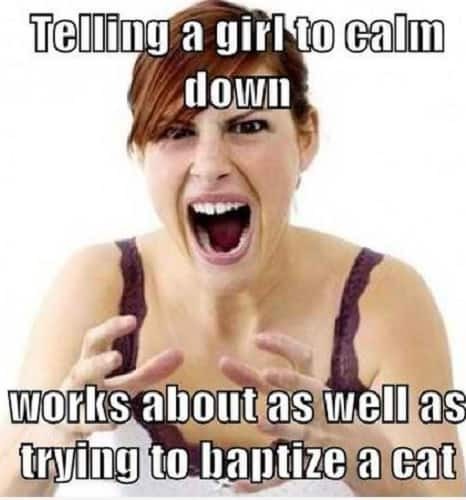 Telling A Girl to Calm Down Works About As Well As Trying to Baptize A Cat. 28. You Haven’t Texted Me for 5 Minutes. 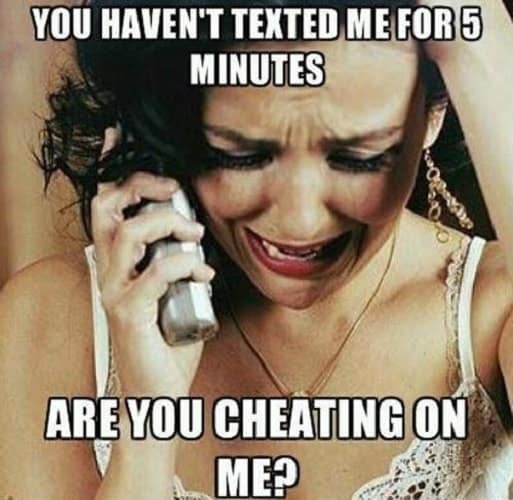 Are You Cheating on Me? 29. 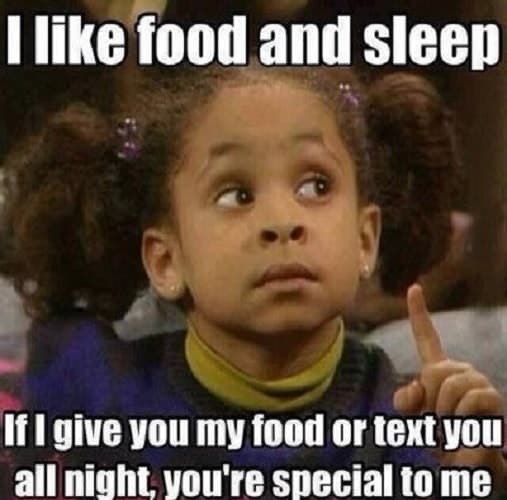 I Like Food And Sleep If I Give You My Food Or Text You All Night, You’re Special to Me. 30. 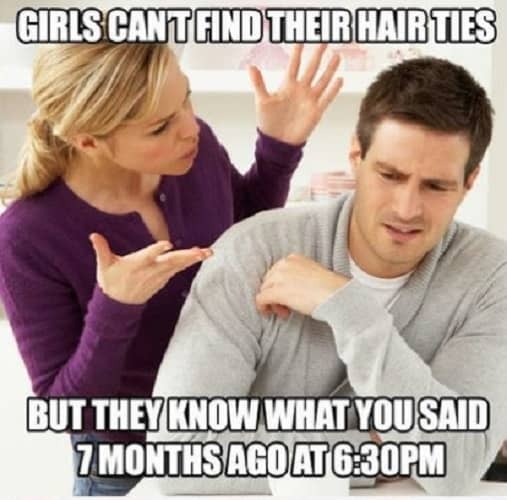 Girls Can’t Find Their Hair Ties But They Know What You Said 7 Months Ago at 6:30pm. 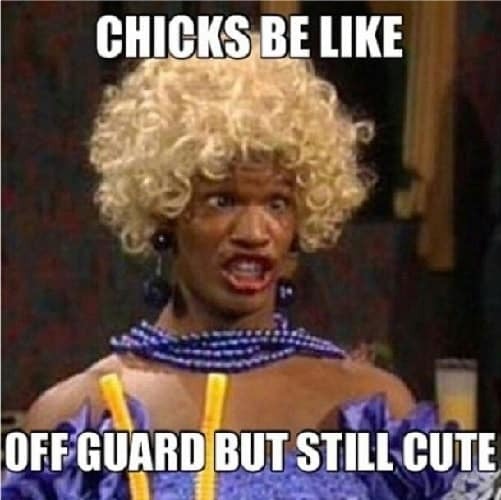 Get the girls together and laugh your way through this list of epically funny memes about girls. Or entertain yourselves with the guys and see how surprisingly accurate these memes can be! Either way, these are perfect to share with family and friends.